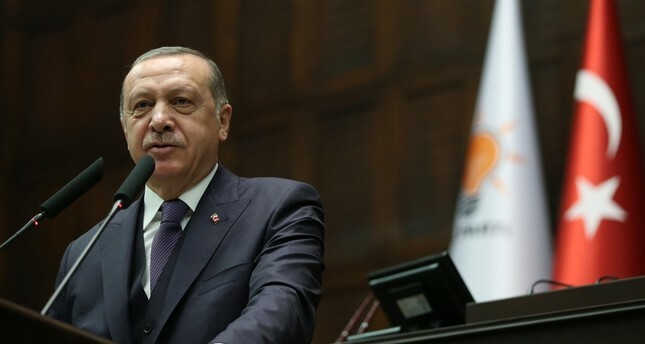 Recep Tayyip Erdoğan will be the first Turkish president to visit Greece in 65 years, Deputy Prime Minister Hakan Çavuşoğlu said Thursday. The visit, the date of which has yet to be confirmed, will be made during the upcoming days, and further improve the bilateral ties between Turkey and Greece, he said. "Our president will be the first Turkish president visiting Greece in 65 years. I think this visit will yield significant results," he added. Pointing to the recent high-level visits to Greece from Turkey, Çavuşoğlu said Erdoğan's visit would complement the previous meetings. The minister said a High-Level Cooperation Council meeting would take place in Thessaloniki in February, noting three planned projects between the two countries. The first one concerns ferry services to transport passengers and goods from Turkey's western Izmir province to Thessaloniki, Çavuşoğlu said. The second one is a high-speed train service project between Istanbul and Thessaloniki, and the third project is a bridge between Greece's Kipoi and Turkey's Ipsala border crossings. Turkey's third president Celâl Bayar was the last Turkish president visiting Greece in 1952.